Cosmopolitan magazine: WLTM my dream job! I’ve had a piece published in Cosmopolitan magazine (UK edition – October 2012 coverdate). Have a look at the PDFs – I can’t add the copy here as I usually do because the story is broken into various points of entry on the page, so to list it as paragraphs would not work. This has just been published by Campden FO, the magazine for super-wealthy business families and their charitable foundations across the world. 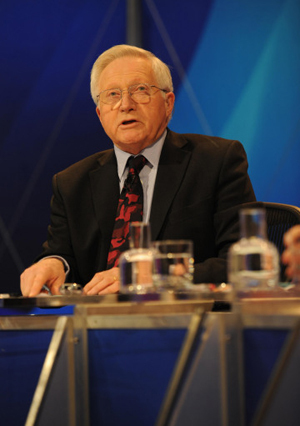 For two generations, the name Dimbleby has been associated with British journalism. 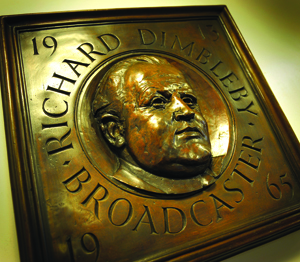 The dynasty was founded by Richard Dimbleby, who made his name as a World War II reporter, sending the first broadcasts from Belsen. He was later famous for anchoring television broadcasts of the coronation of Elizabeth II and the state funerals of JFK and Winston Churchill. 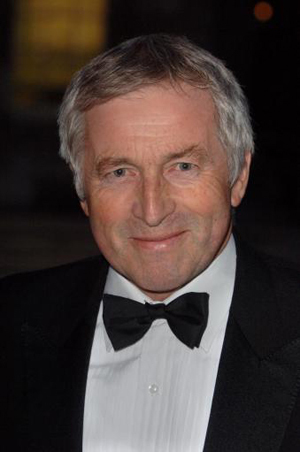 Two of his children, David and Jonathan, are today household names for their work on televised election coverage and political programmes, while two of his grandchildren, Joe and Kitty, are also journalists. All very well for the pages of high society gossip magazines, you may think. But there is a largely unknown side to the family. For almost 50 years Dimbleby Cancer Care, a charity founded by the family following Richard’s death from testicular cancer, has been quietly partnering with major cancer charities and leading cancer centres to fund critical research projects. It also works with the UK’s National Health Service to run free drop-in services at two London hospitals, Guy’s and St Thomas’, for cancer patients and carers. The Dimbleby family has dominated the board of trustees since inception. David (pictured, right) is chair, although Jonathan will succeed him in the role at the end of this year, when David will become a regular trustee. Their younger brother Nicholas, a sculptor, is on the board, while Joe and Kitty, David’s son Henry, founder of the healthy fast-food chain Leon, and daughter Kate are also family trustees. Other family members have come and gone. Enthusiasm is not lacking. But money is. Times have changed since DCC was founded. When Richard died in 1965 the family asked people to send money so they could start a charity. They did, in envelopes stuffed with cash. But these days things are done differently, of course, and the long-term economic slump in the UK and Europe is forcing the family to rethink the way it operates. The main source of income, an endowment, is running out of cash after 46 years, while philanthropic giving is down. The family did try out an external director in Malcolm Tyndall, who joined the DCC from a fundraising role with the UK’s Home Office in 2008. But when he was headhunted away two years later, the family decided not to replace him. “In retrospect we didn’t have enough time to decide whether or not a director from outside the family was a good thing,” Jonathan says. “My instinct is that to justify that post in a small charity where the principal trustees are closely involved, you have to be operating on a scale that we are not yet at.” Now, he says, they not only want this, but they need it. The DCC’s service-delivery work is delivered through two NHS hospitals, St Thomas’s – perched on London’s River Thames opposite the Houses of Parliament – and Guy’s, nestled behind London’s newest landmark, the Shard. The Dimbleby Cancer Care Research Fund awards up to £250,000 each year, funding research into the care needs of cancer patients and is one of the very few charitable operators in that field. The Richard Dimbleby Chair of Cancer Research, which through an endowment to King’s College London supports the Dimbleby Laboratories, is working on imaging techniques to identify the most fitting treatments for an individual patient’s cancer. The Dimbleby Marie Curie Cancer Care Research Fund, a partnership with Marie Curie – one of the UK’s biggest cancer charities – funds £500,000 annually in research on end-of-life care, though this will end in 2012. Despite the economic climate, charitable donations have not collapsed in the UK or the US. “In general those who give tend to have finances that change on a longer-term cycle,” says Professor Cathy Pharoah of the Centre for Charitable Giving and Philanthropy at Cass Business School. Some foundations have chosen to use up their money because they are worried that the cash, whose performance is tied to the market, is at risk. Some philanthropists have actually increased their giving because there is nowhere good to invest their money. Some charities struggle for other reasons. There is a market for charitable giving just like there is a market for anything else, and cancer charities with a strong focus – a brand, you might say – tend to attract more money than generalist ones. Those specialising in particular kinds of cancer, such as breast, skin or prostate, appeal more. “Unless it has a strong, distinct profile, then a cancer charity is going to have problems attracting money,” Pharoah says. There are two ways for smaller charities like DCC to attract more money, she adds. Firstly, they can merge with a larger one. Or secondly, they can leverage their networks and contacts to attract large donations from foundations. In the case of the Dimblebys, with their contacts and family name, that might be their best bet. 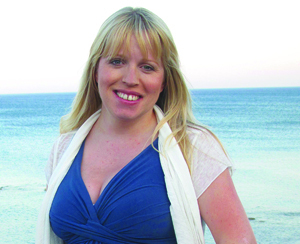 Kitty Dimbleby (pictured, left), 32, is the youngest member of the DCC board of trustees having joined at 18. On her reason for joining DCC As long as I can remember my father went to DCC meetings; once or twice they were even held in our family home. I would sneak downstairs and listen through the banisters, not really sure what was going on but knowing that one day I wanted to be part of it. As a child, teenager and young adult I was in and out of hospital with health problems and I met many young people living with cancer: before I turned 20, I had attended two of their funerals. It was, I am sure, this greater awareness of the illness and our mortality that compounded my childhood desire to help. On being a teenage trustee I became a trustee at 18 but soon realised I was too young and had nothing of any use to bring to the table. I was galvanised to sign up again a few years ago when a friend was diagnosed with cancer. Now in my early 30s, having worked for a few years for the military charity Help for Heroes, I feel I could finally be useful. On what the next generation brings to the table I think the younger generation brings something different to the charity – a fresh perspective and passion for the cause, which reignites that of the older generation. We have been able to introduce more modern methods of fundraising, such as social media. Although it is sometimes hard to get a word in, my father and uncles do listen and appreciate my input. For the charity to continue and move forward it needs us to be involved – much as they would like to, dad, David and Nick cannot keep working forever. This is one of my most recent profiles for Latin News, where I am interning to learn more about Latin American politics- and where they very kindly permit me to stretch my legs on all topics. Who is he? Bunster is Chile’s new energy minister. Why watch him? Bunster, who was sworn in on 3 April 2012, is the fifth man to be appointed to the post since President Sebastián Piñera took office in March 2010. The energy ministry has become Chile’s most challenging portfolio, replacing education, after high fuel and energy prices sparked violent protests in the country’s extreme southern regions. Piñera has instructed Bunster to lead a new national energy strategy, calling for an increase in output from hydroelectric as well as other non-conventional renewable energy sources. However local environmental campaigners have mobilized against several projects aimed at increasing Chile’s energy production capacity. There has been strong opposition to the HidroAysén hydroelectric project, a chain of five hydroelectric plants that will affect large swathes of national parks in Chile’s Patagonia. An unexpectedly hot Southern Hemisphere summer has resulted in a severe drought since the tail end of last year and Bunster began his tenure by extending power rationing across the country, reducing the voltage from the central energy grid by as much as 10%. Place of birth: Santiago, Chile. Education: Bunster obtained a degree in business studies and marketing (ingeniero commercial) from Chile’s Universidad Católica in 1975. He also obtained an MBA from the IESE School at Spain’s University of Navarra in 1978. Public Life: Bunster entered public life in 2010, when Piñera appointed him director-general of foreign economic relations at Chile’s Ministry for International Affairs, where he built a reputation for leading important free trade agreements. In March 2012 he led a delegation to Buenos Aires for a meeting with Guillermo Moreno, Argentina’s secretary for domestic commerce, to request that recently imposed trade barriers be eased. He was picked by Pinera to head up the energy portfolio because of his experience in the energy sector – and no doubt, his contacts and influence within that industry. Implementing the country’s new 30-year energy strategy and managing relationships with environmental groups against key hydroelectric projects are at the top of his agenda. 1979-1981: Joins Maquinarias MACO SA as Commercial Manager. 1981-1985: Joins Chilean pension fund system AFP Alameda as Chief Executive Officer. 1985-1986: CEO for ice cream manufacturer Alimentos Bresler SA. 1986-1990: Joins the Compañia de Seguros Generales Cruz del Sur SA, and insurer, as Operations Manager/Deputy General Manager. 1990-2009: Appointed CEO at publicly-listed energy and forestry conglomerate Copec SA, remaining in the post for 18 years. Copec controls nearly two-thirds of Chile’s fuel distribution market. 2010-2012: Appointed director-general for foreign economic relations at Chile’s Ministry for International Affairs. 3 April 2012: Sworn in as Chile’s energy minister following the resignation of Rodrigo Alvarez. Strengths: Bunster has extensive experience in Chile’s energy sector and is well placed to manage the relationship between the government and energy companies. This has earned him the backing of Piñera’s ‘star minister’, Laurence Golbourne (public works) who said that Bunster’s experience in the sector was a valuable addition to the cabinet. Golborne, who served as Piñera’s first energy minister, did a good job of handling the portfolio until he was transferred in 2011. The fact that Bunster is not affiliated to any political party may also be seen as positive given that his predecessor, Alvarez, from the ultra-conservative Unión Democráta Independiente (UDI, the senior partner in the ruling coalition) resigned for “political reasons” after he was side-lined from a final round of talks that led to a preliminary agreement between the government and protestors in the Aysén region. Weaknesses: Bunster’s appointment has been questioned by the Concertación opposition coalition amid concerns that, as a stakeholder in Copec and other locally-based energy companies including Spain’s Endesa, Chile’s largest electric utility company, he could face a conflict of interests as the head of the ministry. Copec directly competes with the state-owned oil company, Enap, while Endesa is one of the companies involved in the HidroAysén project. Bunster claims that, since being appointed, he has sold off his shares in energy firms but some reports allege that his family retains a 20% stake in AntarChile, the holding company that controls Copec. Alvarez’s predecessor, Fernando Echeverría, was forced to resign only three days after being appointed following similar accusations of conflicts of interests. Prospects: Bunster’s experience is the government’s gain. His knowledge of the sector may well allow him to carry out the complicated mission that Piñera has set out for him. However, while he may have the President’s support in this, whether he will enjoy political support from the ruling coalition is another matter, given his lack of party affiliations. 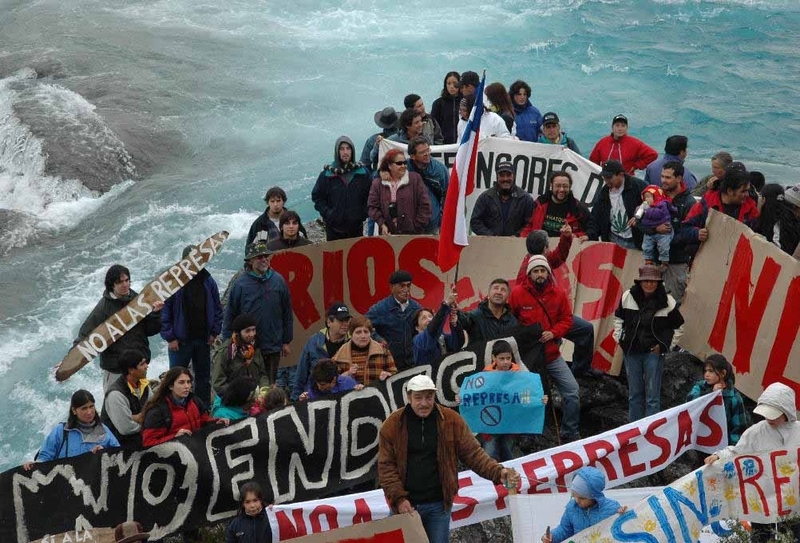 The day after Bunster’s appointment, Chile’s supreme court upheld an earlier ruling to allow the construction of the controversial HidroAysén project. This removed the legal obstacles to the project, but there is still a lot of local public opposition to this and other proposed projects aimed at increasing Chile’s energy generation capacity. While a preliminary agreement has been reached with the Aysén protestors, there is a strong possibility that Bunster will face other protests, not only in Aysén but also in other regions. Here is what is hopefully the first of several features I will write for Los Tiempos, a daily broadsheet newspaper in Cochabamba, Bolivia. This article was published today (Monday 19 March 2012), encapsulating an interview I conducted with Britain’s Minister for Latin America, Jeremy Browne, after a speech he gave in London about his trip to Bolivia last summer. The published Spanish version of this is below (there may be slight differences that occurred in translation), but this is my original English-language article. Seven months after his first diplomatic mission to Bolivia, Britain’s Minister for Latin America, Jeremy Browne, has spoken of his reflections of the country as too hamstrung by the notion of preserving its traditions to actively pursue important inward investment. He believes many British companies would not consider doing business in Bolivia while the spectre of expropriation remains. 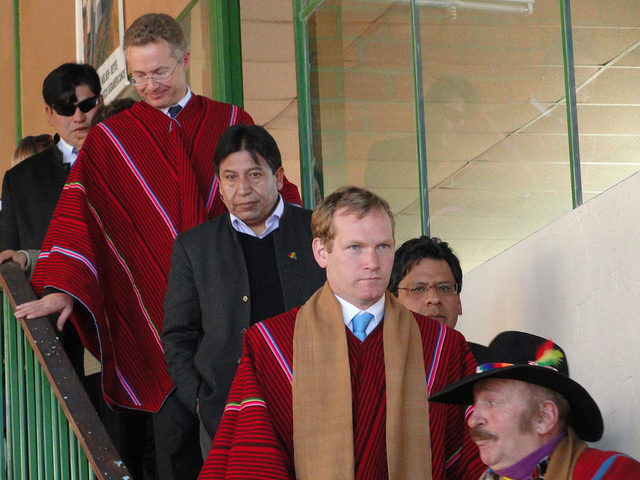 Asked about the progress made in exploiting and processing the lithium in the Salar de Uyuni, the Minister said that in contrast to Peru he perceived Bolivians as “cautious about opportunities of that kind”, pointing to Peru’s rates of growth as a result of recent gains in its mining industry and his impression that Peruvian citizens had benefitted from that, in contrast to Bolivians. He also pointed to Chile and Panama City as noteworthy examples of economies that welcome inward investment in the region. Arguably, the single most critical hurdle to the future of the bi-lateral relationship is the outcome of the legal dispute between the Bolivian government and British power generating company Rurelec. Its Guaracachi operations in Santa Cruz were abruptly expropriated in May 2010 – by a gang of men in balaclavas, brandishing machine guns, according to Rurelec’s claim filed with The Hague – and in March Rurelec confirmed that it was seeking compensation from Bolivia of $142.3 million. The Minister said that the spectre of expropriations by the government “has a negative impact” on British appetite for investing in the country. Though he denies that it has eroded trust between the two nations, that is a diplomatic turn too far. Rurelec’s chief executive Peter Earl says that he would use part of a settlement to make a “significant” buy-back of Rurelec shares so that the company “can focus on paying dividends from operating power plants, rather than seeking redress for wrongs suffered”. (It is worth noting that he is the single largest shareholder in Rurelec, so it is personal.) It does not help smooth the path back to trust for British or other European companies operating in Bolivia when Morales, in the same breath as telling Petrobras and Total executives that their Bolivian investments “will always either be protected or guaranteed”, he also threatened further nationalisations if any foreign companies in the hydrocarbons sector are, in his opinion, found to be “boycotting or sabotaging their investments”, as was reported by EFE in February this year. British companies are as unaccustomed to bands of men in balaclavas storming their businesses on behalf of the state, as they are unfamiliar with the notion that they are not the one ‘on top’ in any business arrangement, nor that they have legal redress. Meanwhile, Morales needs their expertise and investment to open up Bolivia’s natural resources, to make good on the 2009 Constitution’s statements that the country will preserve sovereignty by keeping more of the benefits of those investments for its citizens. It is embarrassment enough that, having taken over the power plant, the Cuban operatives who Morales’ people called to run it thereafter blew up the generator and the government was forced to call Rurelec’s own people back to Bolivia to help get it operational again. Browne says that the Rurelec case, in addition to unexpected nationalisations of other businesses operated jointly by YPFB and foreign companies, spooked British investors, because in some cases they resulted in disputes between the Bolivian government and British investors. “A satisfactory solution to ongoing disputes will be the key to attracting further British investment in Bolivia – investment the Bolivian government has said it wishes to pursue,” he says. Though vice minister Alvaro Garcia Linera has said that the size of Rurelec’s compensation claim is “abusive” and that “talk of [compensation] more than $100 million would be unjustified”, a settlement around that figure is thought likely to be reached before the ruling date in April 2013. That will set an expensive precedent for any future nationalisations Morales may choose to make. The Minister did not try chewing coca when he was in Bolivia – after all, that is not illegal and could have been a useful insight on why the practice continues. He may have not appreciated the integral part coca plays in the life of many poor Bolivians working the land or the mines. But the Minister believes the proposed laws to replace the existing Counter-narcotics Law 1008 must be expedited if the government seeks to genuinely demonstrate a commitment to reducing narco-traffic. The UK is the single biggest consumer of cocaine in Europe according to the United Nations Office on Drugs and Crime, so the British government addresses spends a significant amount of money addressing cocaine production and export in Peru, Colombia and Bolivia as the main originating sources. The Minister believes it evident that Bolivia is producing more coca than it needs for traditional consumption, though he also concedes that it is difficult to measure that. But he recognises that external interest in the coca trade touches a raw nerve about the protection of Bolivian sovereignty. “It is clear that significant quantities of excess, illegal and unregulated coca are diverted to the cocaine trade,” he said. “We are not in the business of challenging sovereignty,” he added.